This kids jigsaw 2--in-1 educational toy by Crocodile Creek is a beautifully illustrated map of the world 200 pc puzzle, introducing continents, oceans, and variety of wild animals around the world. 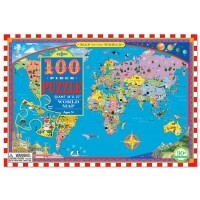 Your children will love learning geography with this neat map puzzle. 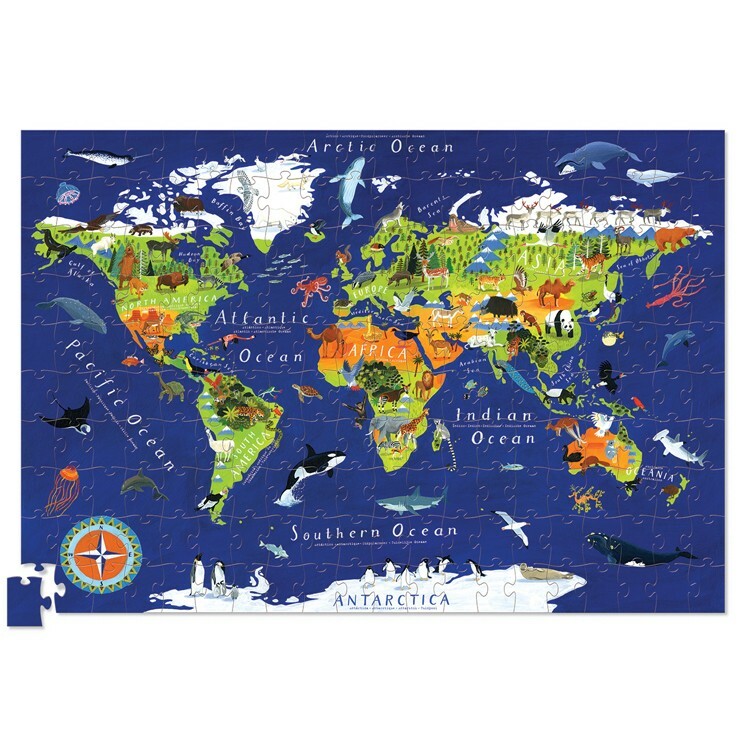 World Map 200 pc Jigsaw Puzzle and Poster Set by Crocodile Creek features beautiful illustration of the physical map of the world, with clearly labeled continents, oceans, and kids-friendly animals and characters. 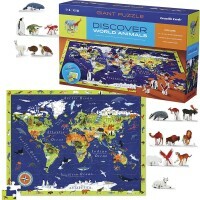 Beautiful image, high quality cardboard puzzle pieces, and great presentation in a canister gift box make the World Map 200 pc Jigsaw Puzzle and Poster Set some really special gift for boys and girls. 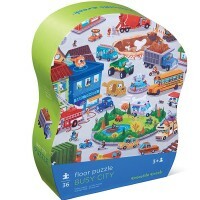 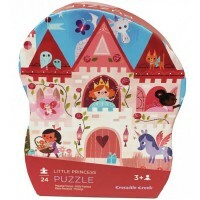 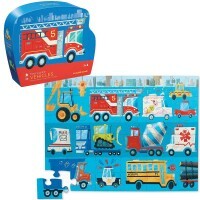 The large, high quality floor puzzle from Educational Toys Planet includes 200 jigsaw pieces and 16 x 24 inches matching wall map poster. 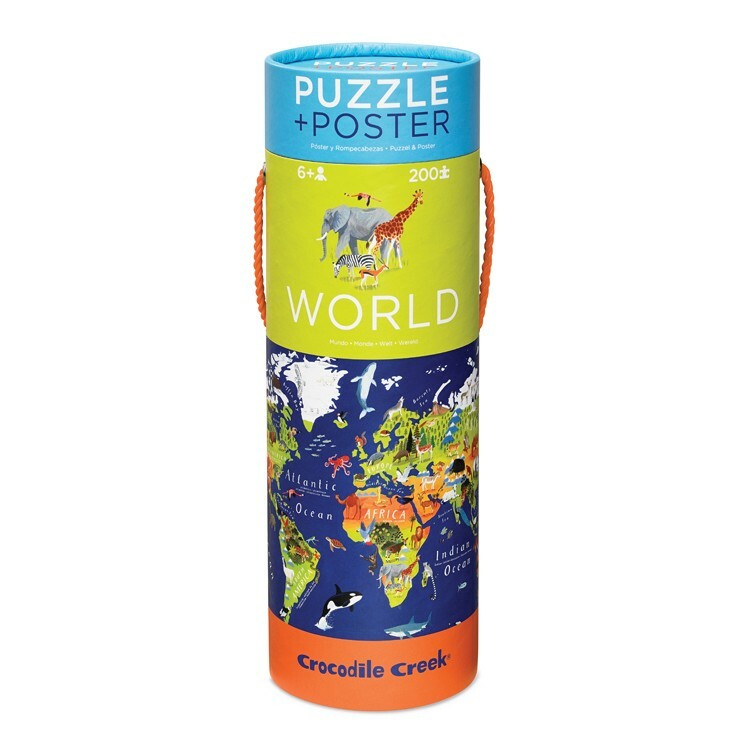 The world map and puzzle set comes in heavy-duty cardboard canister. 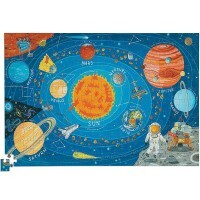 The finished world map jigsaw floor puzzle measures 13 x 19 inches. 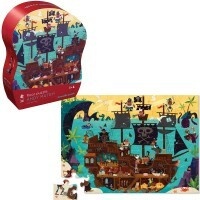 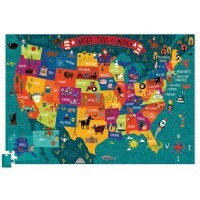 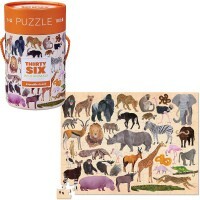 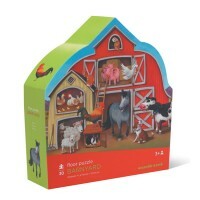 Dimensions of package 0.15" x 13" x 19"
Write your own review of World Map 200 pc Jigsaw Puzzle and Poster Set.